This DEWALT 24-in. 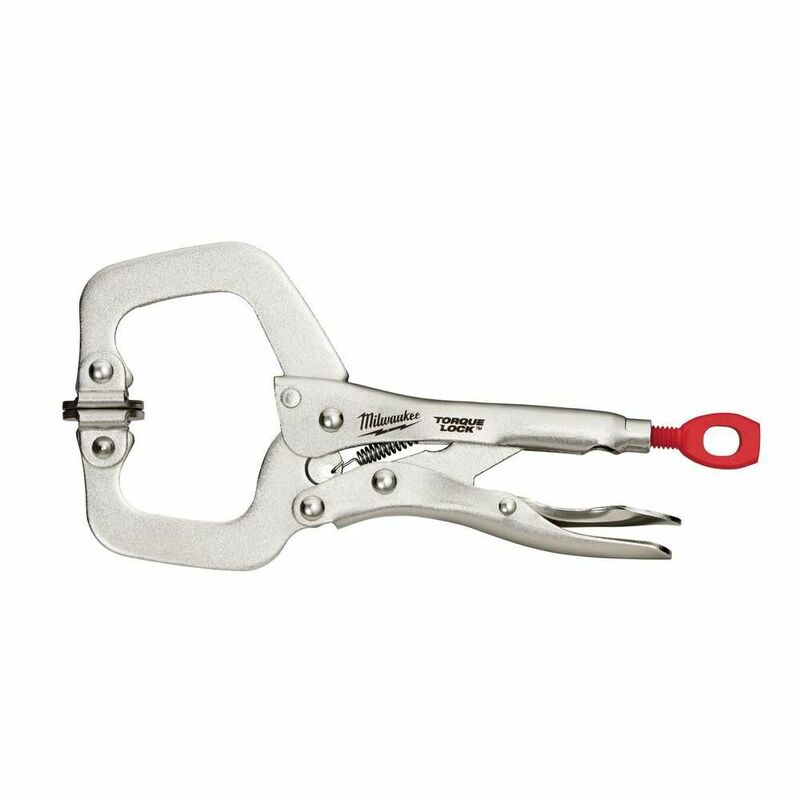 Large Trigger Clamp is intended for use with one handed operation jobs which allow you to free up other hand. The clamp converts to a spreader and with its removable jaw pads it protects work surfaces. The tough re-enforced nylon body makes wear and tear difficult. 6 Inch TORQUE LOCK Locking C-Clamp Swivel Jaws Milwaukee<sup></sup> TORQUE LOCK Locking Tools provide faster tool setup and more locking force for the professional tradesmen. The patent pending thumb screw provides the user with a more convenient geometry for hand force, while providing clearance to generate more torque with the unique screwdriver through-hole design. Featuring hardened jaws for more gripping power, and forged alloy steel for maximum durability Milwaukee locking tools are made for the toughest jobsite. Milwaukee stands behind their product and offers a Limited Lifetime Warranty with all locking tools. 6 Inch TORQUE LOCK Locking C-Clamp Swivel Jaws is rated 4.2 out of 5 by 40. Rated 4 out of 5 by Tris from This works well. It doesn't open as far as... This works well. It doesn't open as far as I thought it would. A bigger opening would have been great.